As Game of Thrones approaches its final season, set to premiere on April 14, 2019, it’s a good time for die-hard fans to take a look at the first location where it all started, Malta. Often referred to as “the hidden gem of the Mediterranean,” Malta is not so hidden when it comes to Hollywood and if you’re a Game of Thrones fan you will remember that most of season one was filmed there. Step back in time as you travel to idyllic locations such as those used in the first season including the gardens of Kings Landing, the Red Waste, the Tower of the Hand, the Stables, Maegor’s Holdfast, the Red Keep, Cobblers Square, The Street of Steel, Baelish Brothels (ext), Coppersmith’s Wynd, King’s Gate, King’s Square, and the village of Lhazar (when accessible). The Maltese Islands – Malta, Gozo and Comino – have been home to Hollywood blockbusters such as Gladiator, U-571, The Count of Monte Cristo, Troy, Munich, Popeye, the movie set abandoned in 1980 which remains a huge tourist attraction in Malta, as well as prestigious dramas and sitcoms such as the BBC’s Byron and ITV’s Coronation Street to name a few. The island’s beautiful, unspoiled coastlines and breathtaking architecture have ‘doubled’ for an amazing variety of locations on the big and small screens – from ancient Rome to 19th-century Marseille and 1960’s Beirut. 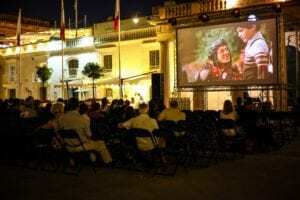 Steven Spielberg, Ridley Scott, Wolfgang Petersen, Guy Ritchie and other renowned directors, as well as a host of A-list celebrities such as Angelina Jolie, Russell Crowe, Brad Pitt, Sharon Stone, Madonna and Sean Connery, all experienced Malta’s movie making facilities and its many charms. 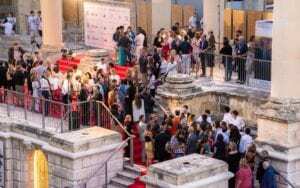 Statistics released by Malta’s National Statistics Office for inbound tourism for 2018 show that Malta’s popularity in the North American market is still trending. The Hon. 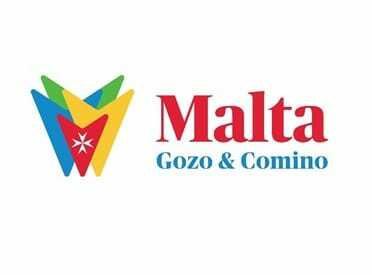 Konrad Mizzi, Minister of Tourism for Malta, noted that the US was one of the fastest growing tourism markets for Malta, recording a dramatic increase of 31.9% from 2017 to 2018, with a total of 47,170 Americans visitors. The increase from Canada in 2018 was 6.6% (15,015 Canadians) bringing the total arrivals in 2018 from North America (US & Canada) to a record breaking 62,185. This sunny archipelago in the Mediterranean recorded an overall 2.6 million visitors (+14.3% between 2017 and 2018), bringing a record number of tourists to Malta from around the World. Buttigieg continued, “if the overwhelming number of people stopping at the Malta Booth last month at the January 2019 New York Times Travel Show is any indication, this market will continue to boom.” The MTA is very proactive in North America, both with travel industry organizations such as the United States Tour Operators Association (USTOA), and Virtuoso, a network of luxury travel agents.